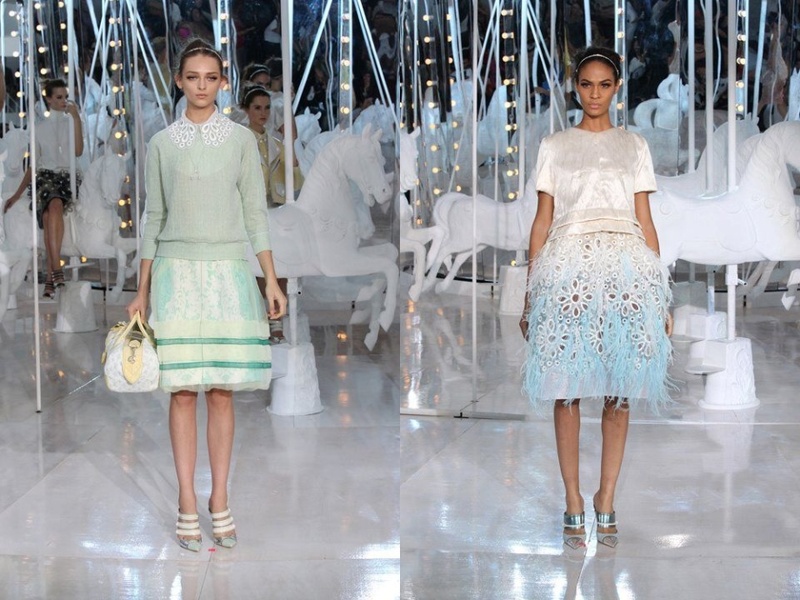 Louis Vuitton Women's RTW Spring Summer 2012 Collection. - THE WORLD BY KEJMY. Louis Vuitton Women's RTW Spring Summer 2012 Collection. Pastelové farby, kvety, hodvábne látky a krajky s čipkami. Tak toto je nová jarná kolekcia na rok 2o12. Vravíte si, jar? Ale to je móda a značku ako je Louis Vuitton udávajú smer budúcich kolekcií ostatných značiek. Jemnosť a ženskosť - heslo tejto nádhernej kolekcie. English : Pastel colors, flowers, lace and silk substance. That is the new spring collection on 2o12 year. You say you spring? But this is fashion and brans like Louis Vuitton lead the way of next collections of other brands. Softness and femininity - motto of this wonderful collection. hey, you commented on my profile on fashiolista. follow eachothers fashiolista and blogs?